Image migration refers to "mirroring" the operating system, applications, and data on the source host to a virtual disk file and uploading it to the Alibaba Cloud image center as a user-defined image of the uploader. Through this image, an ECS host instance identical with the source host can be started, and achieve the purpose of application migration to the cloud. Mirror migration is typically divided into three categories. The first category is migrating from other platforms to Alibaba Cloud, such as a physical server, virtual server or other platform to Alibaba Cloud. The second category is migration between different Alibaba Cloud accounts. The third category is migration across regions within the same Alibaba Cloud account. 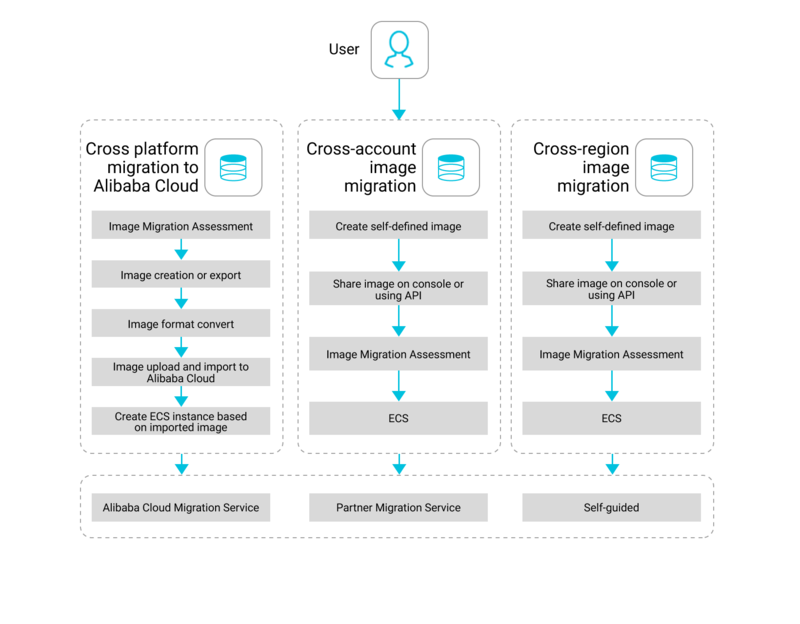 Regarding the first category of migration, a mirror migration feasibility assessment is required to assess whether Alibaba Cloud supports the client version OS and other specifications, image file, export image file format, transfer of image through the Console or OpenAPI, and image migration to ECS. This process can be performed with an image migration platform or migration service. In the case of a regional or account migration, users can use the Alibaba Cloud console or API to complete image migration. Homogeneous and heterogeneous data migration between data storage systems, such as SQL, NoSQL, and OLAP. Easy to use cloud storage that allows you to process and handle millions of requests per second. An on-demand cloud database service with automated monitoring, backup and disaster recovery capabilities.